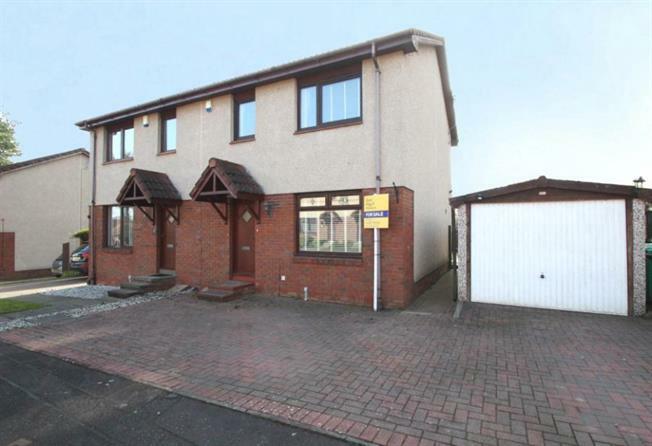 3 Bedroom Semi Detached House For Sale in Glenrothes for Offers Over £158,000. This extended semi-detached villa is located within the popular Coul residential area of Glenrothes and is ideally located for access to the A92 providing road links throughout Fife and for Markinch mainline train station located within 4 miles. The property is presented in good order with Karndean flooring to main ground floor apartments and offers generous family sized accommodation over two levels comprising of; entrance vestibule with cloak cupboard, glazed door through to front facing lounge with further French doors through to a versatile dining/family room, which in turn, provides access to a conservatory/sun room and to the kitchen. The conservatory/sun room is also versatile and provides access to the rear garden and the kitchen is fitted with a range of base and wall units with integral appliances including oven, hob and extractor and space for other appliance. On the upper floor are 3 bedrooms, one with fitted wardrobes and a modern shower room fitted with white suite. Externally, the front garden has been mono-blocked to provide ample parking and leads to a detached single garage. The rear garden backs on to woodland and has been chipped for ease of maintenance with a decked area. With gas central heating and double glazing, early viewing is recommended.